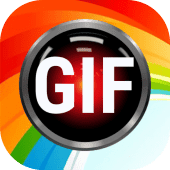 GIF is made/edit from images, video, camera, screen record and animated GIF. Convert popular video/image format such as PNG, JPEG, JPG, MP4, MPEG, FLV, 3GP...The application interface is easy to use and friendly. Searching/Download trending GIF image from GIPHY and TENOR.